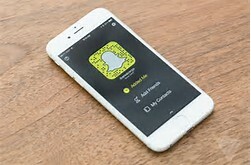 Snapchat is increasingly facing competition from the likes of Instagram and its new Stories feature, and with the company in need of something big and new to keep customers engaged talk has turned to the idea of a Snapchat smartphone. According to Mediakix, "Snap went on a hiring spree for employees in hardware engineering telecommunications and manufacturing logistics starting in August of 2016. These included electrical, mechanical, prototype, hardware, interactive, RF/ antenna, and NPI (New Product Introduction) engineers as well as CMF (colour, metal, finish) designers, industrial designers, and mobile services specialists. with several new hardware roles at the company - not all of which are obviously related to Spectacles. Of the 36 new hires since August of 2016, 16 have pervious experience from Motorola, seven from Apple, six from Google, three from HTC, and one each from Verizon and Nokia." smartphone (although the Facebook Phone - aka HTC First - was something of a flop). Naturally the cameras are of chief importance, and it says the Snapchat phone could be the world's first phone with a 360- degree camera, as well as a selfie camera. We'd also likely see dedicated camera shutter buttons, plus the ability to scroll through filters with the volume buttons. With no official comment from the company for now we can't be sure one way or the other, but we will update this article as soon as new information is available. What to expect from Snapschat phone Should the Snapchat phone become a reality, Mediakix has put together a couple of slides that speculate on what it might be like. Mediakix also suggests you might be able to view Snapchat notifications from the lock screen, share content from third-party apps through Snapchat, and easily discover new Snapchat content and users around them.